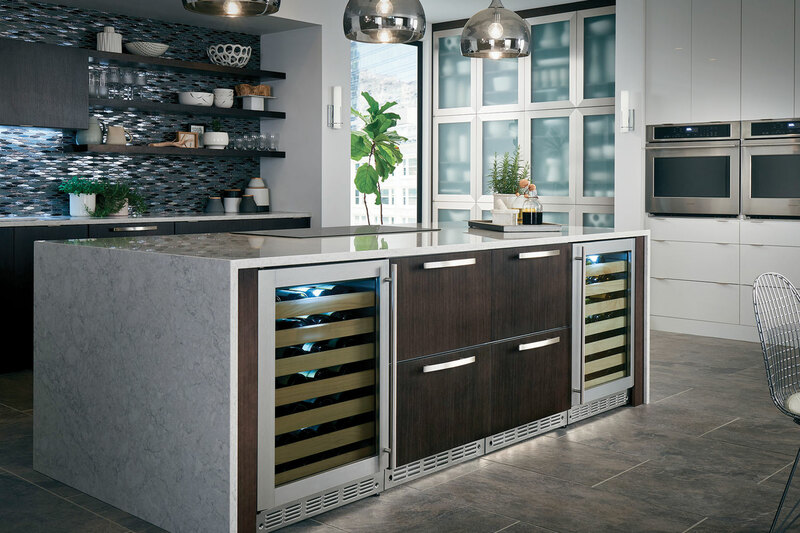 “Thank you Westar Kitchen & Bath for inviting Brandy and I to participate in the GE Monogram experience! It was a fabulous trip to Louisville, Kentucky, where we were graciously hosted by the extraordinary people at GE and got to see first hand just what it takes to make the appliances that enhance our lives every day. We got to meet the design team who do the research and put the ideas to paper and prototypes before they go into production. They use state of the art technology and forward thinking to come up with ways to make each action easier in our every day tasks. We also got to check out the GE refrigeration factory which employs thousands of people to create an appliance consisting of 1,500 parts! And they make over 1,000 per day! Needless to say it is a well oiled machine producing not only products we use but creating jobs right here in America to help boost our economy. The grand finale was an iron chef competition where each team had a limited amount of time to create a brunch meal including a secret ingredient … ours was potato chips! The fire was ON and had it not been for the Advantium oven which cooks a quiche in 18 minutes instead on an hour, and the induction cook top speed boiling the water for the grits, we would have been in big trouble. There was focus, team work and a few laughs and we put the plates out just in time! Every team’s creations were very impressive but to our surprise our comfort food and flavors WON the race!!! That medal will be hanging in my kitchen a long time along with the great memories I brought home. 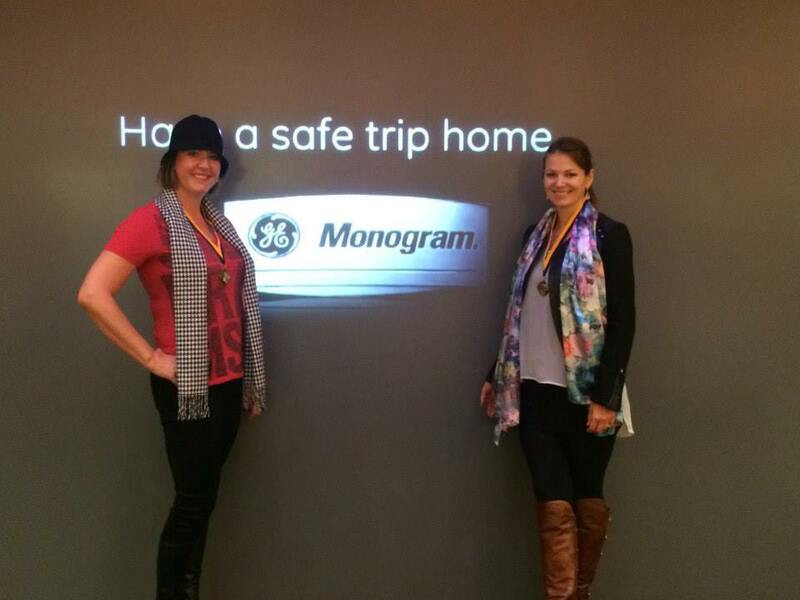 Designers Eva Murzauite and Brandy Holden from Interiors in Design visited the GE Monogram Experience Center in Louisville, Kentucky. So glad to hear that, thanks Deborah! Happy New Year.